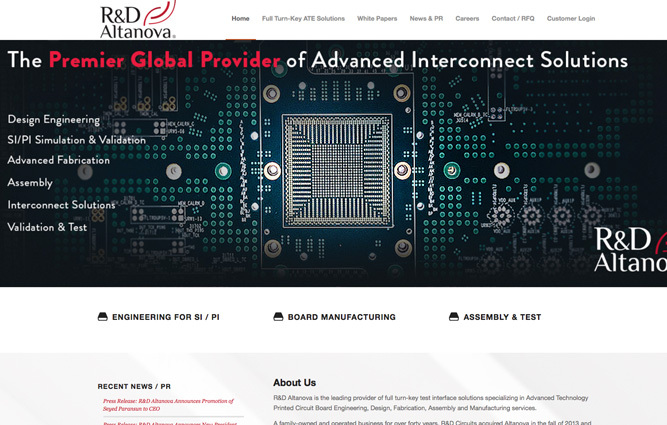 Headquartered in South Plainfield, New Jersey, R&D Altanova is a leading turn-key designer and manufacturer of advanced printed circuit boards used to test integrated circuits used in computers, servers, mobile devices and many other applications. Over the past 30 years, R&D Altanova has served its customers across the United States and globally in the semiconductor, telecom, aerospace, defense, medical and radio device markets. For more information about R&D Altanova, visit www.rdaltanova.com. At Guardian Capital Partners, contact Scott D. Evans.